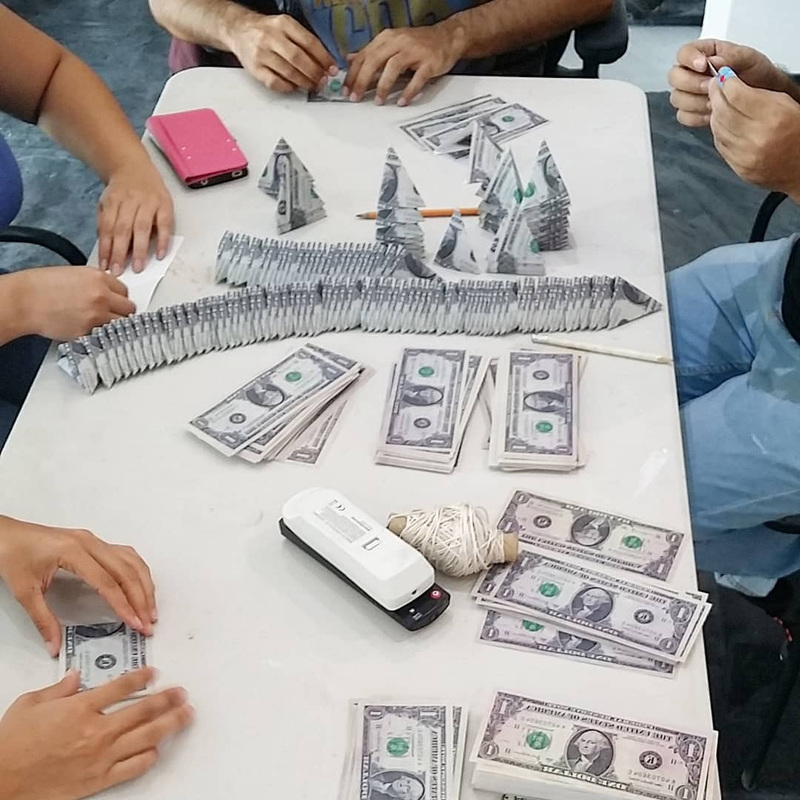 Folding process with: Rodrigo Zaragoza, Melisa Delgado, Kenia Medina and Abraham Meza. 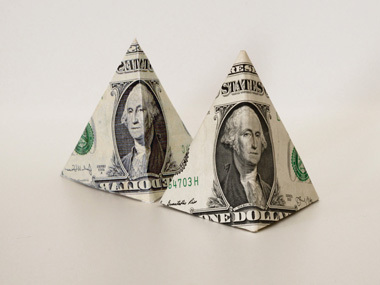 One folded Dollar note with one folded reverse-printed Dollar note. 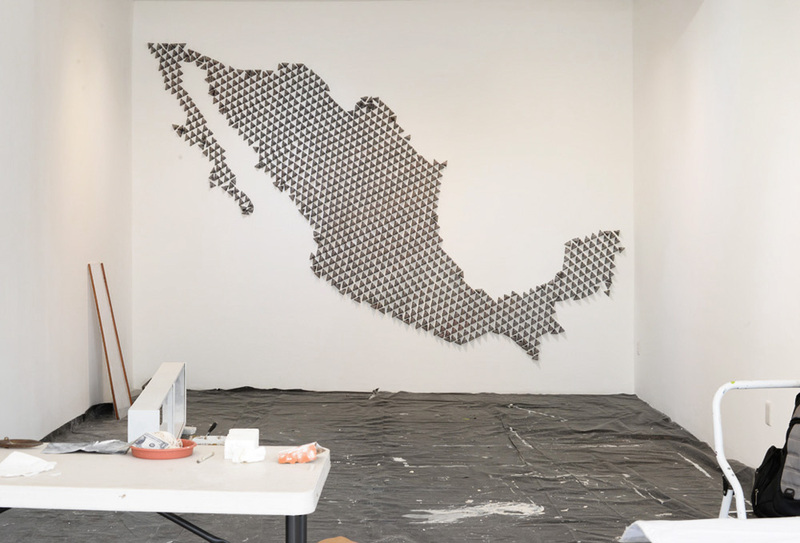 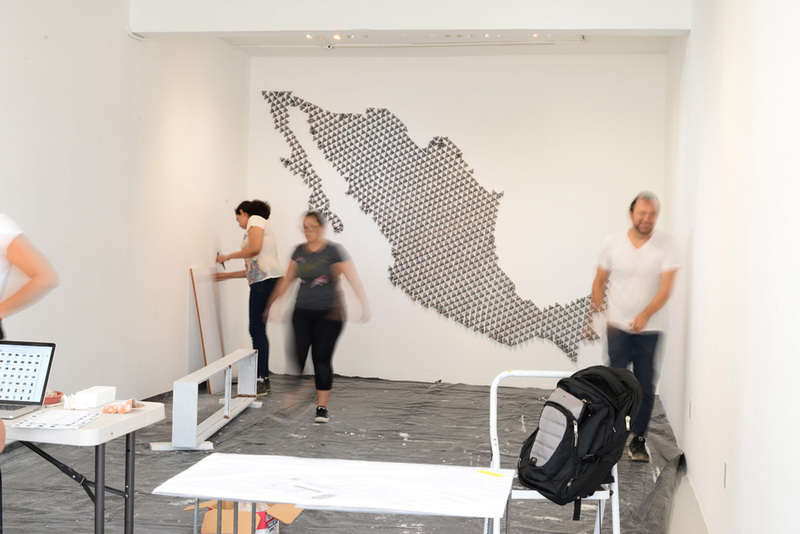 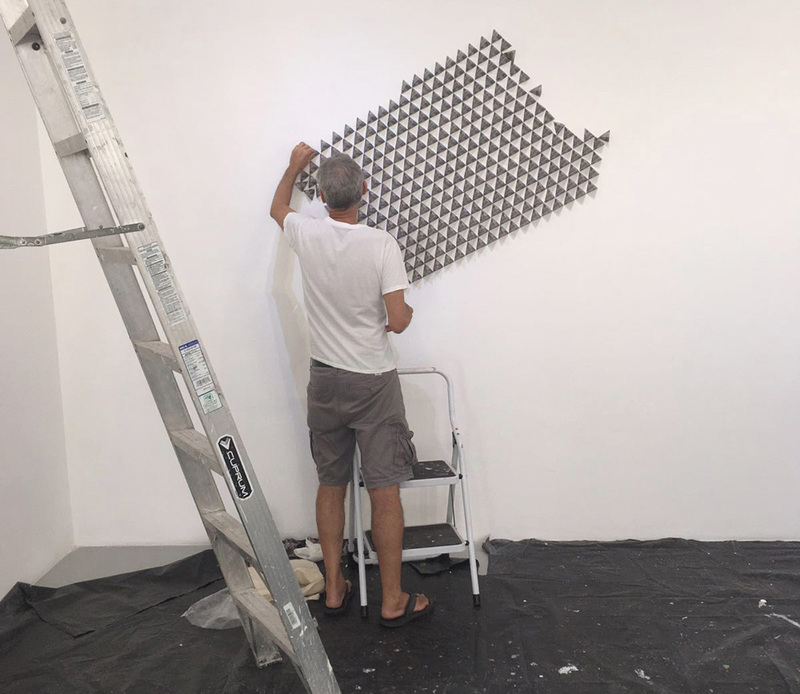 Installation process with Museographer Rodrigo Ballester and assistants Melisa Delgado and Michelle Hernández. 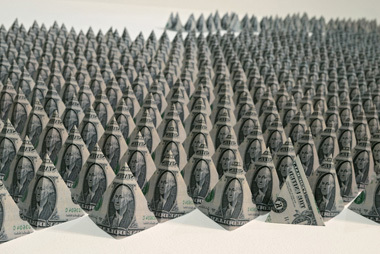 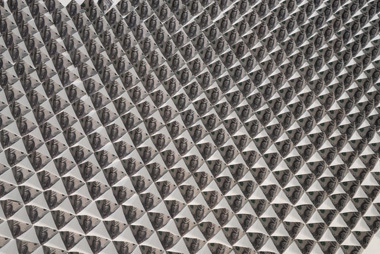 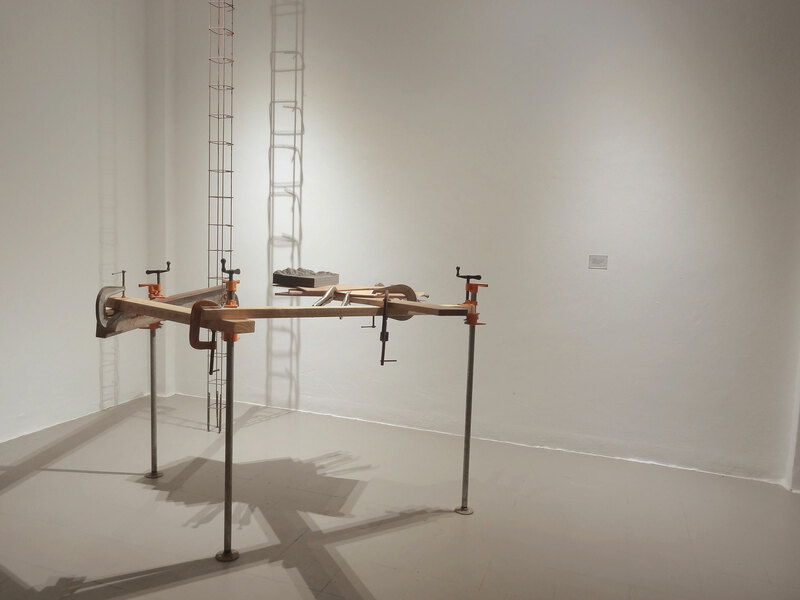 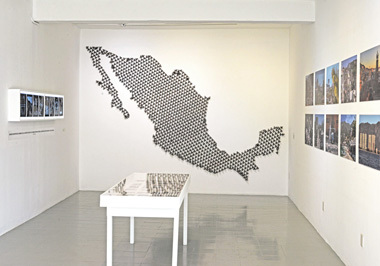 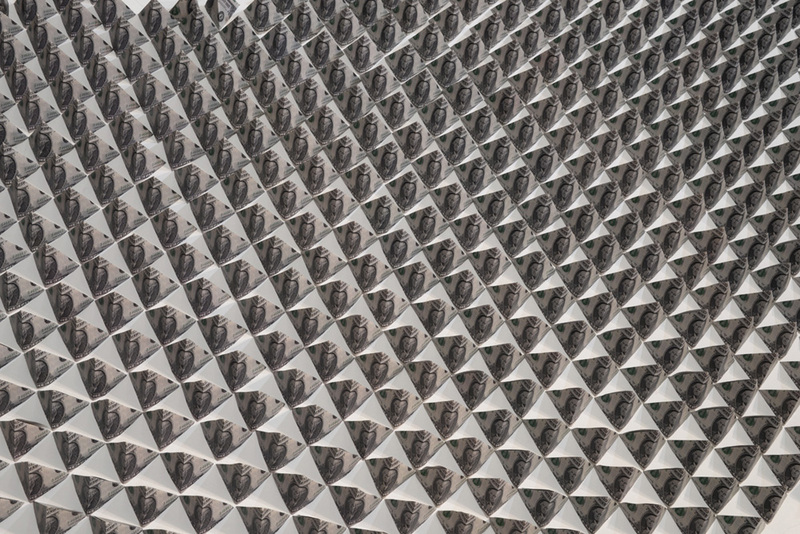 The installations from the Empire Series strive to stimulate a discourse about the United States as a superpower, the influence of its monetary systems within the context of international fiat currencies and economic policies, and the idea of fiscal responsibility in an era of deficit spending.